Your location: Home ♥ Important announcement day 1B! 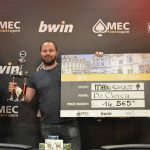 As you have seen today the first ever MEC Poker Open is a huge succes. The casino is loaded! First of all we want to thank all the players for their support by playing this tournament. Please let us know whenever you have any feedback on the organization. We appreciate it. For tomorrow we have an important announcement for Day 1B. Day 1B has only 18 free places left, because of cancelled tickets in the last weeks. We didn’t offer these tickets again on the website. For tomorrow we have a maximum of 60 places on the waiting list available. This means that a total of 78 players will be able to have a ticket or place on the waiting list tomorrow. All players who arrive earlier at the casino are requested to make one nice queue. Please don’t skip the line and don’t reserve any places for friends in the queue. This is not possible! The next 60 players will be on the waiting list. (we cannot guarantee a seat in the tournament for players on the waiting list). 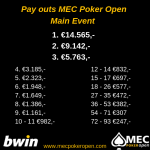 For the rest of the players it is not possible to enter the main event. All the players who already bought their ticket for day 1B are asked to be on time at the casino. The casino registration process takes a while. We are asking you to be here around 13.00. 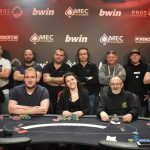 During the evening we have a NLHE Side Event. This event will probably changed to a Freeze out (so without re-entries). But a final announcement about the Side Event will follow on our facebook group.